Conventional solar blanket rollers are bulky and detract from the overall beauty of your pool and landscaping. But with the ClearDeck® In-Ground Solar Blanket Roller, the blanket is concealed below deck and completely hidden out of sight when not in use. Your deck will be uncluttered and the design of your pool will look as beautiful as you envisioned. Any solar blanket can cover up your pool. But only ClearDeck® can cover up your solar blanket! If you’ve ever used a conventional solar blanket roller, you probably know what a hassle they can be to operate – especially for one person. 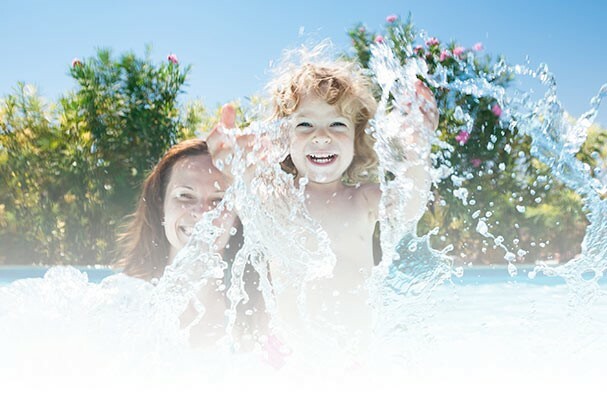 But with ClearDeck, covering and uncovering your pool couldn’t be easier. Designed for convenient one-person operation, ClearDeck’s patented design requires minimal effort and your solar blanket can be extended or retracted in less than a minute. So you can spend less time working, and more time playing!